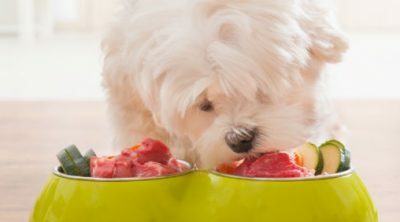 Which Foods are Best for Boxers to Consume? Boxers don’t have sensitive stomach issues like as some other breeds so owners don’t typically have to follow special diet guidelines. 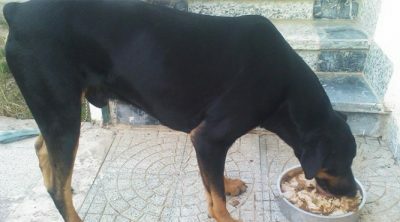 However, boxers need to be fed the right type of foods that are high on nutrients and low on filler. As primarily carnivores, your boxer needs to eat meat as the main ingredient in his or her meal. This should be real meat, not plant-based proteins like soy, peas, or any type of bean. Dogs derive essential fats from meat as well as protein. Fats can come from sources of fish as well. Around 35 to 45 percent of a boxer’s meal should consist of animal-based protein. Try to keep this meat amount at least at 40 percent, like a human’s. After proteins and fats, your boxer needs to fill up on carbohydrates and fats. Boxers should consume a healthy amount of vegetables, consisting of 25 to 35 percent of its meal. Vegetables are a main source of fiber for your dog. Carbohydrates can come from grains like rice. For boxers, pasta made from durum wheat is ideal because it gives a healthy mix of carbs and fiber. The vegetables and grains should be wholesome to ensure your pet’s health. Boxers also need a little amount of fruit in their diet as sources for important vitamins, minerals, and antioxidants. Less than 10 percent of fruit in a boxer’s meal is fine. You can give fruit that you like to your boxer. However, beware that some fruits could act as neurotoxins and harm your dog. All in all, it’s best if you give your boxer a meal that best imitates what the dog eats in the wild. Fill up on the protein, keep carbs to a sensible level, and make sure your pet is getting all the vitamins and minerals it needs in its diet. Not all sources of nutrients are suited for your pet boxer. Some owners make the mistake of giving boxers table scraps. Your dog needs healthy and wholesome ingredients that meets its species-specific nutrition needs. Let’s look at some of the best ingredients to include in your dog’s meal. Fish can be a good source of protein, but dogs need meat from animals for the best results. An occasional egg can be good for your boxer as well. Make sure you include real, whole animal meats in your dog’s diet. If possible, avoid exotic fruit varieties that are usually not found in a boxer’s natural habitat. Be careful of allergic reactions when giving your boxer fruit. It’s best to ask your vet for advice if you suspect any type of fruit could act as a neurotoxin. 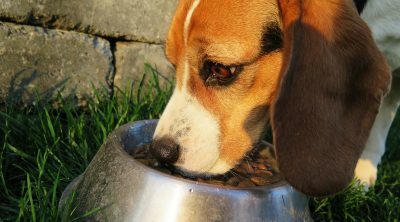 Remember, too much vegetables and grains could result in dog food mainly being filler, rather than dense with nutrition. Balance the above ingredients and prioritize meats to make sure your dog gets its protein. There are certainly ingredients that you should avoid like the plague. Some ingredients could hurt your dog rather than nourish him or her. Any form of the above is bad for your boxer. The above ingredients don’t provide any nutritional value for a boxer. And as a result, what, corn and soy are major culprits of allergic reactions in boxers. Commercial dog food labels are not tightly regulated. As a result, brands can make all sorts of claims that mislead pet owners. You must always look at the ingredients list—not what a food label says in the front—to understand whether it’s good or bad for your dog. The first ingredient must always be a meat. Not a by-product, but real meat. The meat listed must be specified. For example, chicken or chicken meal, not poultry by-products or meat meal. Non-specified meals may contain parts of road kill or euthanized animals that would certainly contain chemicals not good for your pet. Beware of broken up ingredients. For example, manufacturers may break up wheat or grain ingredients to make it look like one ingredient is present is fewer qualities than it actually is. For example, you may see “rice, rice brand” listed as ingredients. That’s not two ingredients, but a whole lot of rice included as filler. Additives like BHA, BHT, ethoxyquin (typically in fish) are carcinogen. But these ingredients are allowed in pet food. 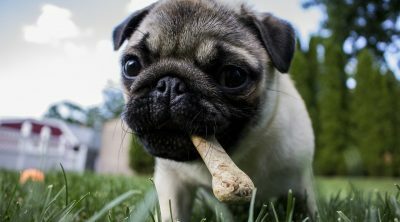 Try to avoid these ingredients to reduce your pet’s exposure to cancer-causing ingredients. And remember, a big price tag doesn’t necessarily translate into quality. Always check the ingredients list as mentioned above. 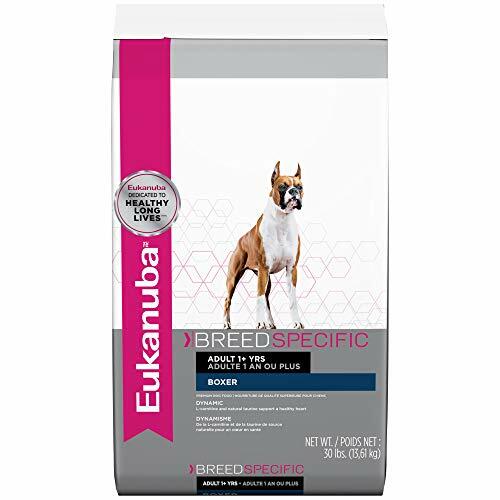 Eukanuba probably has the best known breed-specific dog food for boxers at the moment. This dry formula has a small, crunchy kibble that squash-faced boxers can easily chew. The formula is big on promoting a healthy heart. The kibble is fortified with taurine and L-carnitine—two important nutrients for cardiac health in dogs. The formula is quite protein rich. The primary ingredients are chicken and chicken by-product meal. It’s followed by corn meal, ground whole grain sorghum, whole grain ground barley, and chicken fat. 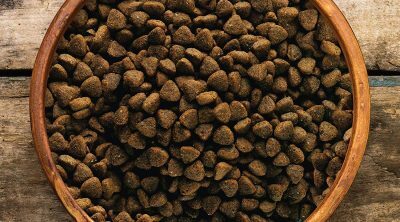 Fish meal, egg product, and fish oil are also included in the kibble. The total protein content is 25 percent, which is about the same as the average dog food. The fat content is 16 percent. The label says this kibble has something called a “3D Dentadefense system,” supposedly to improve dental health. The system is “proven” to reduce tartar (hardened plaque) buildup up to nearly a month, according to the brand. You can ask your vet whether this claim can actually support your boxer’s health. Do note that this dog food is moderately expensive. You will have to dish out $30 to $50 per bag. Regardless, your boxer is highly likely to benefit from a breed-specific formula. Royal Canin offers a rare breed-specific dog food for boxers. This kibble is specially designed for purebred boxers with precise nutritional content. The dry food is suited for boxers 15 months or older. The brand says this kibble is “tailor made” for boxers. Because boxers have short muzzles and underbite, this kibble is wavy to make it easier for the dogs to grasp. The kibble “encourages” chewing, meaning your boxer would eat it slowly. Some dogs that quickly gobble down food sometimes throws up bile. The kibble is fortified with EPA, DHA, and taurine supplements to promote cardiac health in boxers, according to the brand. The label also indicates that the food has antioxidant complexes to promote nutrient absorption and cellular regeneration. The supplemental nutrients also include L-carnitine that promotes heart health. This is an expensive dog food. Even a 6 pound bag costs about $60. That being said, the ingredients list doesn’t leave much to desire. The primary ingredients are brown and brewers rice, followed by chicken fat and chicken by-product meal. The ingredients list doesn’t have any real meat in it. The kibble has gross protein content of 24 percent, about 18 percent gross fat, and 4.5 percent fiber. The formula is low on sodium so it might suit boxers with heart issues (ask your vet about it). High taurine dog food, like this, is considered good for heart health issues. Should your dog eat like a wolf? Not really, according to pet nutritionists. The Taste of the Wild dry kibble, though, could have your pooch at home eating like a wolf (sort of). This dry kibble is 32 percent crude protein, 18 percent fat, and 4 percent fiber. The protein count is quite high for a dry dog food brand. The roasted bison flavor has real meat as the primary ingredient. The label says the main ingredients are buffalo, lamb meal, and chicken meal. It has carbs derived from sweet potatoes, peas, and potatoes. After canola oil and egg product, roasted bison and roasted venison are included as ingredients. As the label promises, the formula is completely grain free. The ingredients list include chicory root as a “species specific” prebiotic fiber. The formula as brand guaranteed levels of zinc, selenium and vitamin E. The product is made in the USA, but with some ingredients sourced from overseas. The lamb is from New Zealand, chicken meal is from Germany, chicory root from Belgium, and the taurine and folic acid supplements are from China. 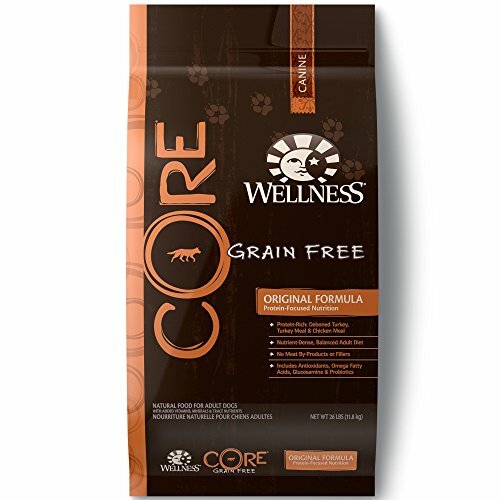 Wellness Core Natural Grain Free brand claims to have 80 percent more meat in it than regular dog food. The primary ingredients are deboned turkey, turkey meal, and chicken meal. It’s followed by peas and two listed forms of potato as carbohydrates. The ingredients also include chicken fat, chicken liver, and blueberries as antioxidants. The kibble formula has several types of dried fermentation product. So it might help boxers with digestive problems. The ingredients list include a number of veggies and fruits as well, including kale, carrots, broccoli, and apples. There’s salmon oil included. It’s not listed as raw, but you might want to check with a vet about allergen potential of salmon oil. This dry kibble doesn’t include any soy or wheat filler that could cause bloating and gas. The high protein content might make this kibble well suited for young adult boxers who are very active. The product comes with a solid quality guarantee, as the meat is sourced only from the USA or Canada. 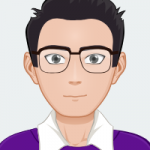 Concerned about too much filler and unnecessary content in pet food? 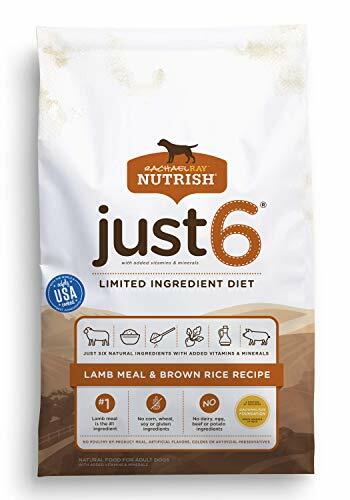 This dry kibble promises only 6 ingredients that are not an added supplement. The main ingredients in the kibble are lamb meal, brown rice, ground rice, dried plain beet pulp, natural chicken flavor, and poultry fat. The rest of the ingredients are chemical supplements, preservatives, vitamins, and minerals. It’s not exactly as filler free as the brand claims. There’s only one source of protein, while there are two sources of rice. It does not, however, contain soy or corn fillers that give some boxers digestion issues. The brand guarantees high-quality ingredients and doesn’t contain any animal by-products. The formula contains 20 percent of crude protein, 13 percent crude fat, and 4 percent crude fiber. It’s not protein dense as some other dry kibble. But this could be a positive if you have an obese or an at-risk dog trying to lose weight. There are no fruits and veggies (except beets) that could potential trigger an allergic reaction. As boxers are prone to sensitive, a limited ingredient kibble product like this might suit your pet best. However, only choose this dry dog food for stomach problems with veterinarian advice. 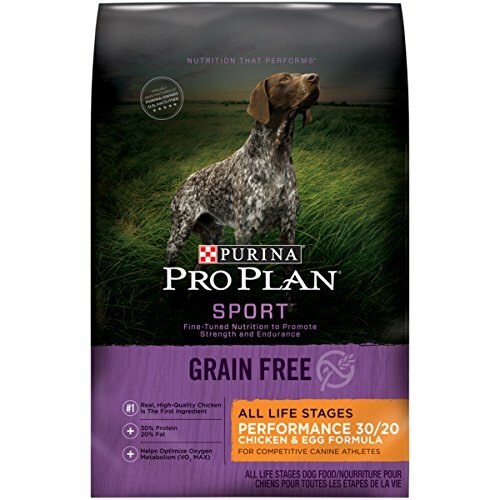 Purina Pro Plan Sport dry dog food is made for active dogs who love to play outside. This formula is suitable for all life stages, according to the label. This particular formula is well suited for boxers because it contains no soy, corn, or wheat as fillers that could result in upset stomachs. The primary ingredient in the formula is turkey, followed by brewers rice, barley, chicken meal and dried egg product. The product contains preserved animal fat and pea protein as well. There are carbs from ingredients like oatmeal and beet pulp. Fish oil is included as a source of healthy fatty acids. This kibble has 27 percent of crude protein and 17 percent of crude fat (hence the special brand name). The label says the kibble is more digestible because of the barley. It not really possible to know until your boxer tried the kibble. You can ask your vet if such claims are accurate. The brand promises that the kibble is free from artificial colors, flavors, and preservatives. The product is made in the USA, but some ingredients could be sourced from overseas. There are 496 calories per cup, so this kibble might not suit dogs at risk of obesity. 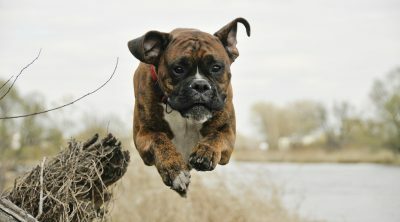 There are two top picks for boxer dog food on this list: Eukanuba Breed Specific and Royal Canin Breed Health kibble. 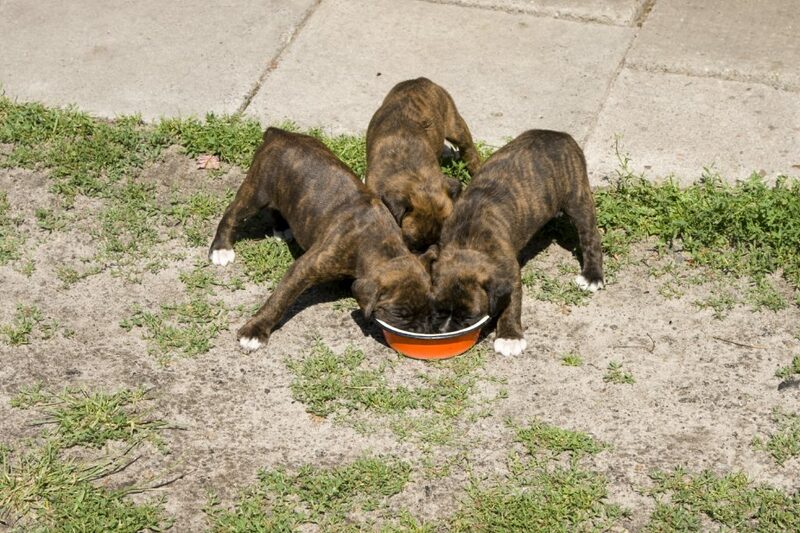 Both dry dog food formulas are specially made for boxers only. The kibble is formulated to match nutrient needs of boxers, and is even shaped to be easy to chew for short-snouted pooches. When you are looking for boxer specific dog food, it’s best to go with kibble formulated just for a particular group. Both formulas are protein rich as well, especially Eukanuba. It has a real meat as a primary ingredient and meets 25 percent crude protein content. 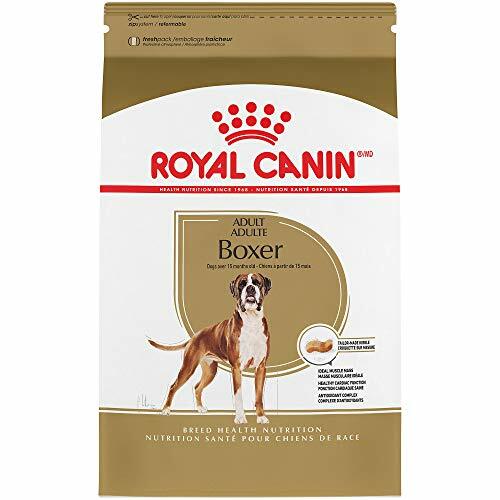 Royal Canin kibble is well fortified to match nutrients needs of the boxer breed. You can also try any of the non breed-specific formulas suggested above. 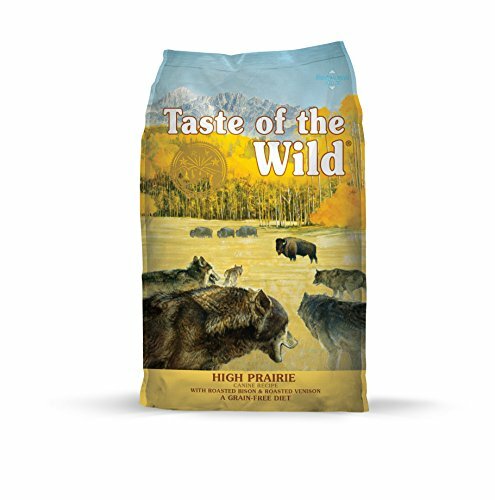 Some owners may prefer protein-dense kibble that’s low on wheat and similar fillers. You can choose from any of the suggested brands above based on vet recommendations, if any. Can Dogs Eat Olives And Olive Oil? 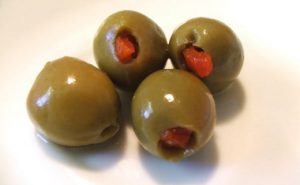 Are Olives Good Or Bad For Dogs?